Citizenship by descent - For those who have parents and grandparents who are citizens of the islands. Citizenship by marriage - For people who are planning to marry a person who is already a citizen of St Kitts and Nevis. Citizenship by investment - You can make an investment in the country either by purchasing property or by making contributions to the Sugar Industry Diversification Foundation. Each program has its own merits, however the most popular choice for anyone wanting to obtain citizenship and enjoy the benefits available to them is citizenship by investment. This scheme is available to everybody and is popular with anyone wanting to purchase a second home or actually relocate to the country. The scheme was established in 1984 is the oldest citizenship prevailing economic program of its kind in the world. Visa-free travel to over 125 countries. Tax Free Living: No wealth, gift, inheritance, foreign income or capital gains tax. Dual citizenship benefits: There are no restrictions on dual nationality. No residence or minimum stay requirements. 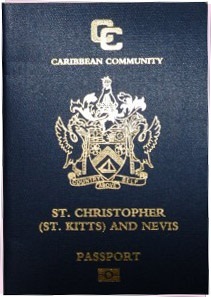 Full Residency status: all citizenship holders have the right to live or work in St Kitts and Nevis and the Caricom countries. Lifetime citizenship for you and your family and future generations. Guaranteed return on your investment in Real Estate. St Kitts and Nevis are an independent English speaking island state in the Caribbean with a tropical feel and stunning surroundings making it a very attractive place to invest in real estate. The islands are great for investors and the choice of real estate is excellent for those wanting to take advantage of the citizenship by investment program.